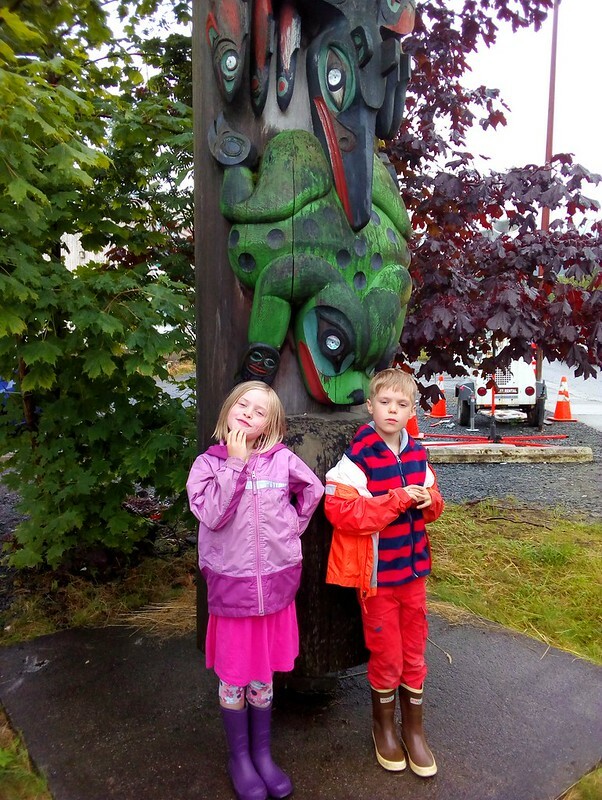 Four weeks after Ferda and I were learning about cemeteries in Tana Toraja, we found ourselves in Ketchikan learning about totem poles. 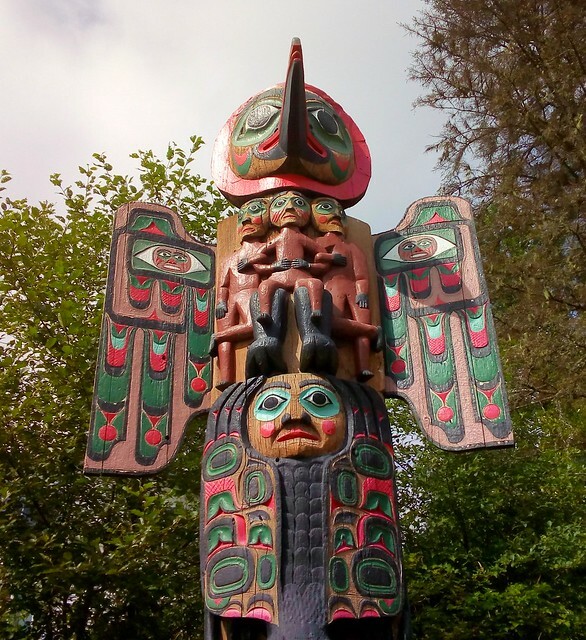 Totem poles are not for religion, and they’re not worshiped. They’re built to tell stories. 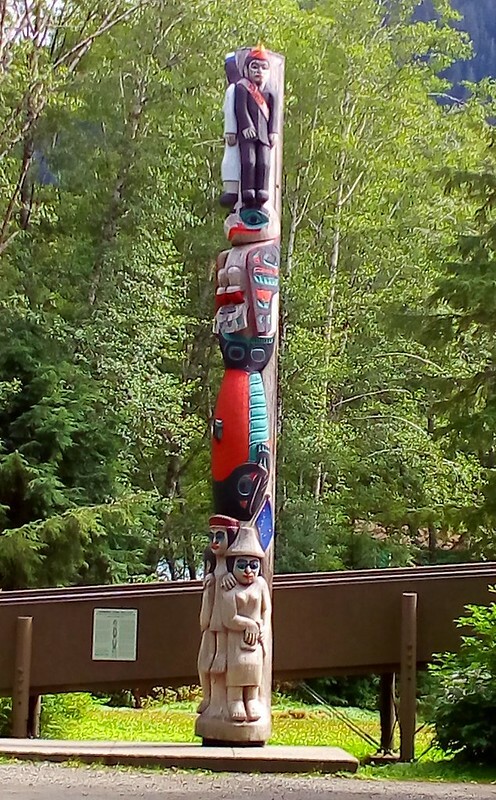 Just as stories can be divided into different themes, there are a number of different kinds of totem poles. 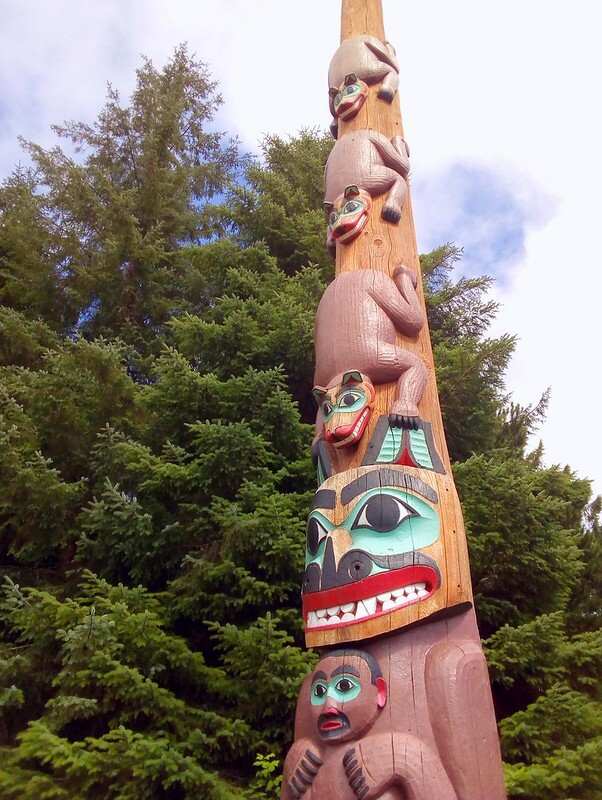 There are totem poles to honor people and totem poles to shame people. 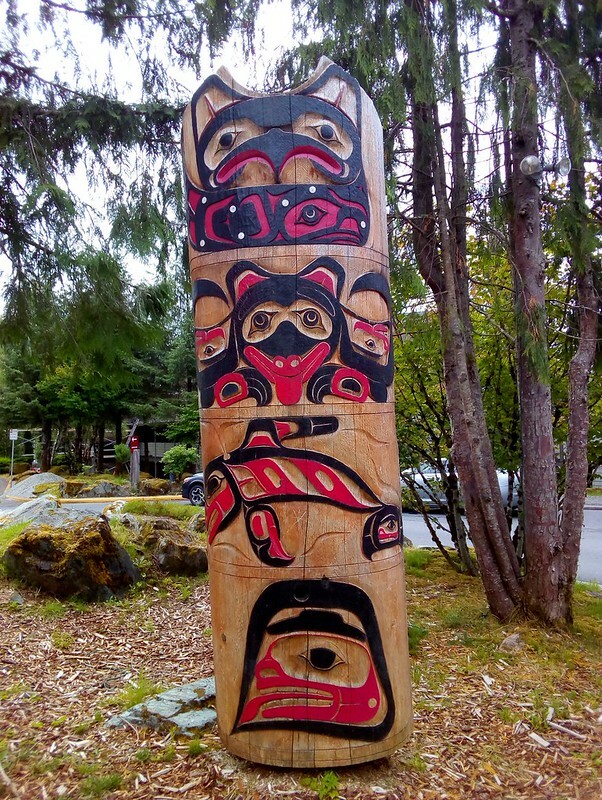 There are mortuary totem poles to hold someone’s ashes and heraldic totem poles that have village or family crests or shields. 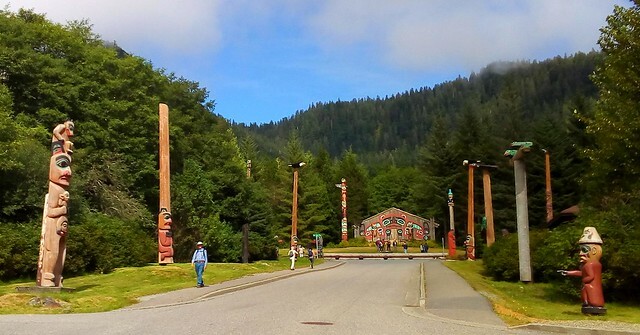 The most totem poles we saw was not surprisingly at Saxman Village which houses the largest collection of standing totem poles in the world. Public buses leave every hour from Ketchikan, and it seemed like almost everyone on the bus was going to Saxman. 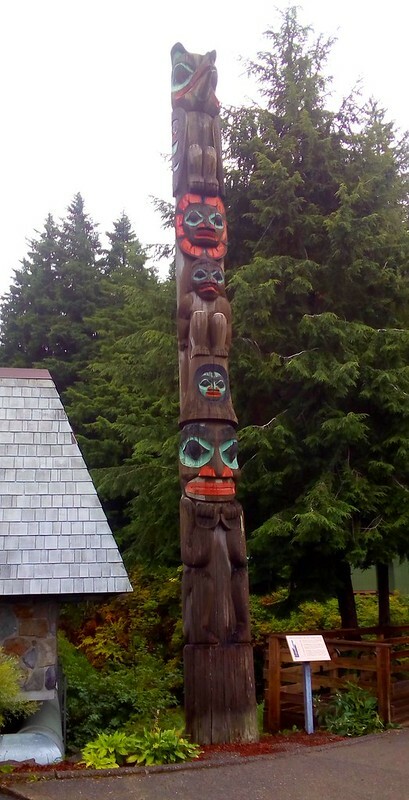 A large uncarved portion of a totem pole is used to emphasize the little bit that is on the pole. Take this one with Abraham Lincoln on top, perhaps a big honor pole for Lincoln? Looks very similar, doesn’t it? Well, at the top that’s William Seward, the one who bought Alaska for the US. 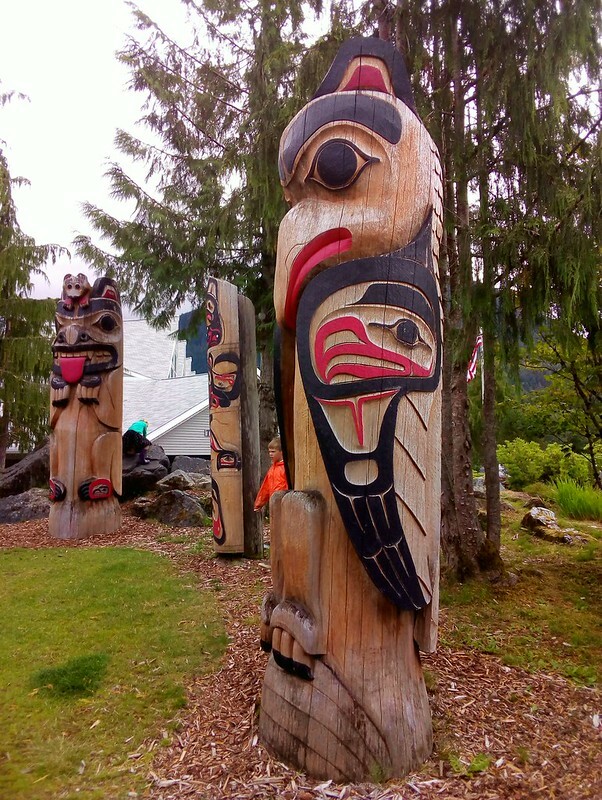 He came to Alaska after the purchase and was treated to nice potlatch parties by the locals, the Tlingit. 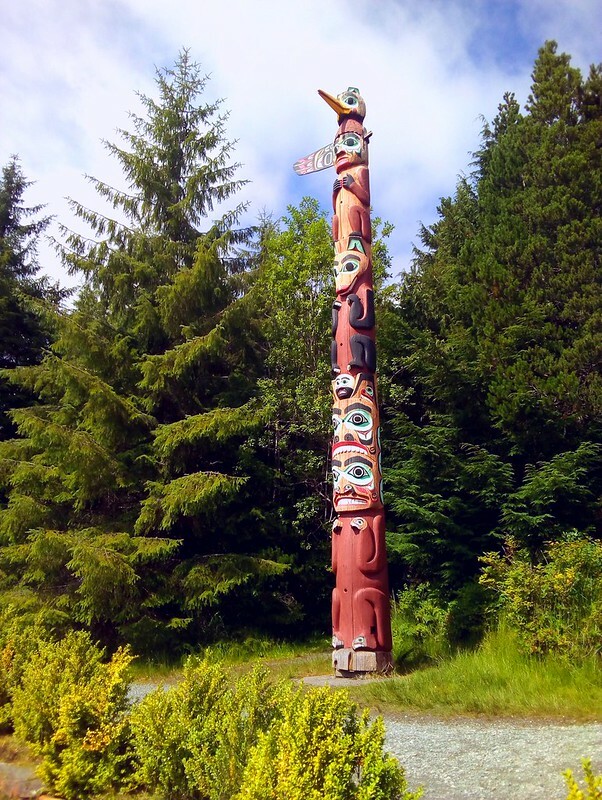 The Tlingit liked Seward so much they erected a totem pole in his honor. 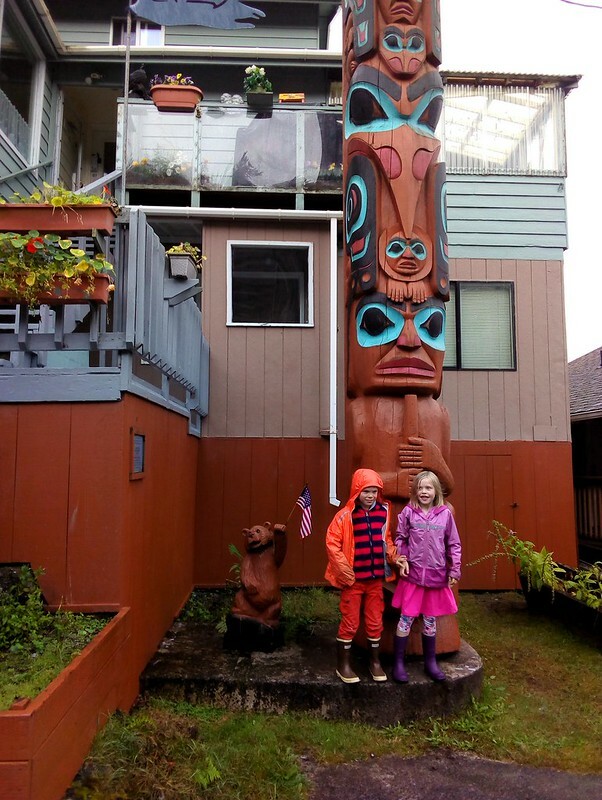 However, the Tlingit traditional parties are meant to be reciprocated two to four years later. 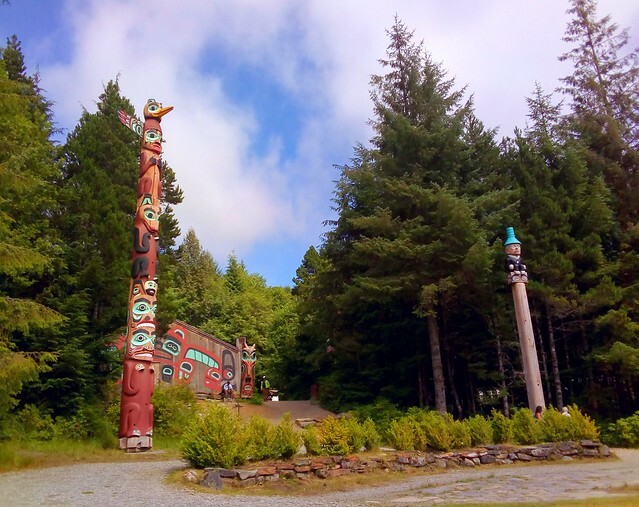 When Seward never came back and hosted his own parties, the Tlingit changed the honor totem pole into a shame totem pole by painting Seward’s nose and eyes red. Oops. 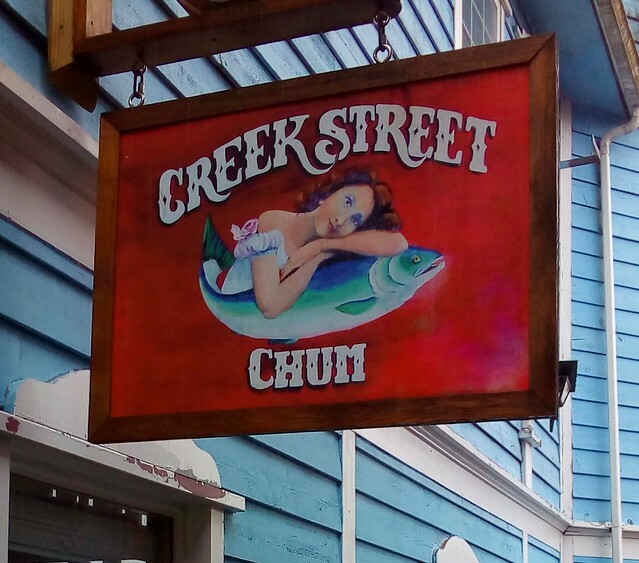 A Ketchikan blog post won’t be complete without a couple photos of Creek Street, Ketchikan’s red light district after prostitution was made illegal on the other side of the creek. 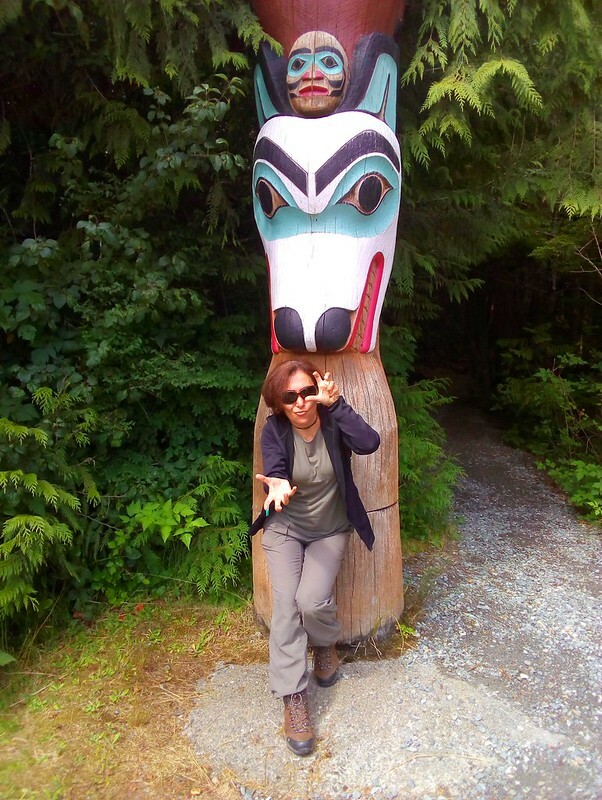 And what the heck are we doing in Alaska anyway? 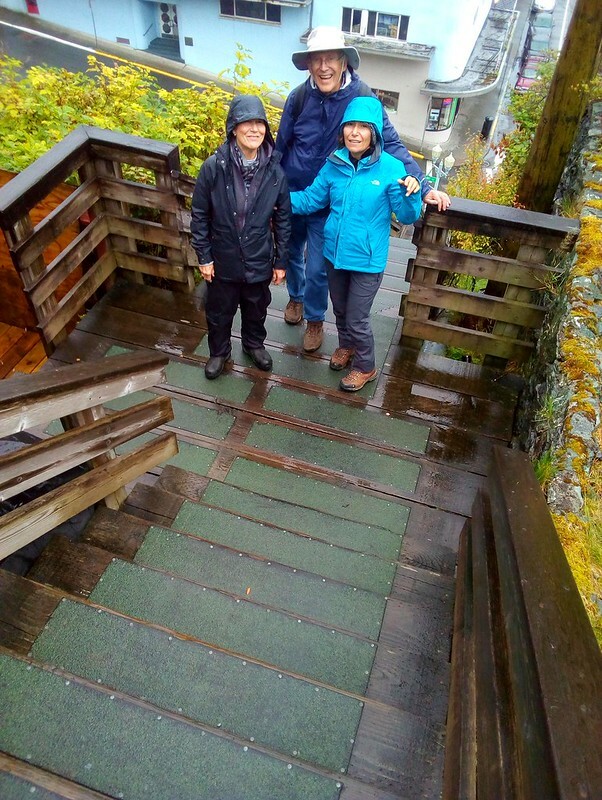 Walking some steps with my parents to get in shape for their week long 55th wedding anniversary party. We’ll need to reciprocate with a big celebration in Turkey lest I end up like Seward on top of a shame totem pole in perpetuity. 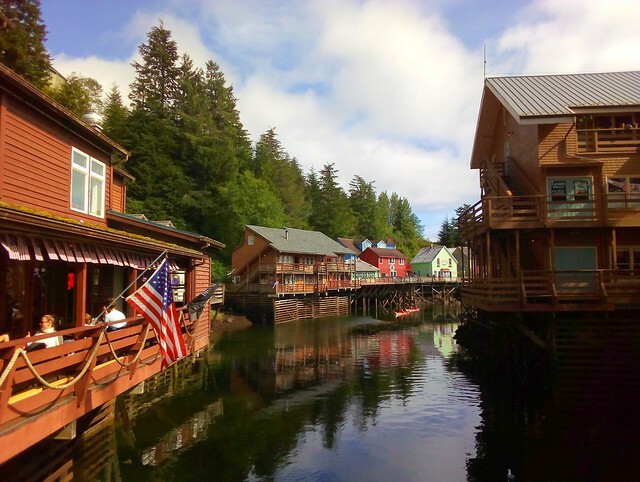 This entry was posted in Traveling, United States and tagged Ketchikan, Saxman. Bookmark the permalink. Glad Sulawesi was not too recent. You continue to entertain and enlighten. Don’t have to travel as much after reading your blogs. Miss you Bryan and would love to meet you Ferda. Some day it will happen.